Keeping a strong immune system is essential for avoiding common colds during the winter months. Even though the strength of your immune system is partly determined by genetics and childhood exposures, much of it also depends on your nutrition. Read this article to find out some of the best ways you can keep your immune system strong throughout winter and all year round! Vitamin C, or ascorbic acid, has long been known as a nutrient that is especially helpful for the immune system. Vitamin C can help stimulate the immune system to fight off foreign cells that invade the body. Additionally, some research has shown that vitamin C supplementation can actually increase the number of antibodies, which play a crucial role in protecting your body from bacteria and viruses. It is recommended that adult men consume at least 90 mg of vitamin C per day, and adult women should get at least 75 mg per day. Mega doses ranging between 250 mg and 1 gram of vitamin C per day are sometimes used to help decrease the incidence and duration of colds. Citrus fruits and potatoes are both loaded with vitamin C. Also, many fruit juices contain 100% of your daily vitamin C needs. Zinc is a micronutrient that is important for proper functioning of the immune system. Research is mixed on whether or not extra zinc supplementation can decrease your chances of getting sick, but health care professionals do know that without good overall zinc status, your immune system will weaken. Zinc is found in a variety of foods, so most people do not need to worry about getting enough zinc in their diet. 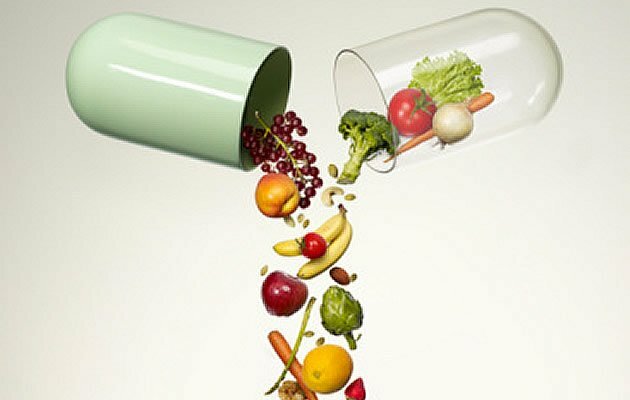 However, if you are a strict vegetarian or vegan, you may need extra zinc supplementation. This is because the zinc that is found in plant foods is often not absorbed properly by humans because there are other molecules in the food that block absorption. It is recommended that adult males consume 11 mg of zinc per day, and adult females should get 8 mg of zinc per day. Doctors do not recommend long-term use of the herb Echinacea, however numerous research studies have shown that when taken right after the first symptoms of a cold appear, it can be effective in reducing the duration and severity of the cold. Because it is not a nutrient, there are no guidelines on how much Echinacea to take. So, make sure you find a reputable company and follow their guidelines. Usually, taking 1 or 2 pills per day during the first few days of a cold/sickness is recommended. By registered dietitian Arielle Kamps, M.S., R.D, L.D. Via HealthMatters.sg, a Singapore Health and Fitness blog that aims to help you lose weight, keep fit, and live healthy. Click here to get our free guide “Eat Your Way to Health — Secrets of a Healthy Diet”.